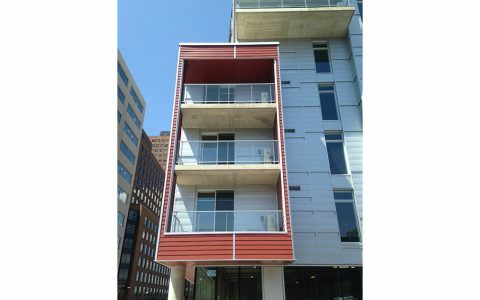 Our products discretely integrate with W/E's architecture in order to let the color accents express themselves. 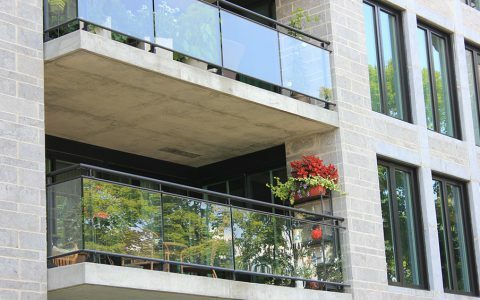 Since railings form the biggest part of VIU's facade, serigraphy has been used to enhance the overall look. 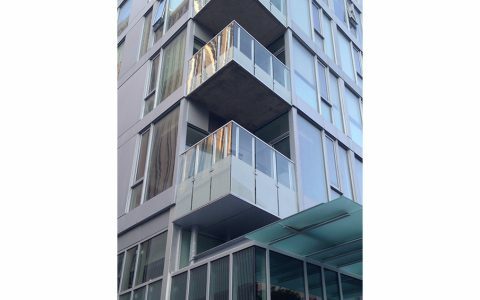 At Claridge Tribeca East, serigraphy on the glass pannels has been used to increase privacy. 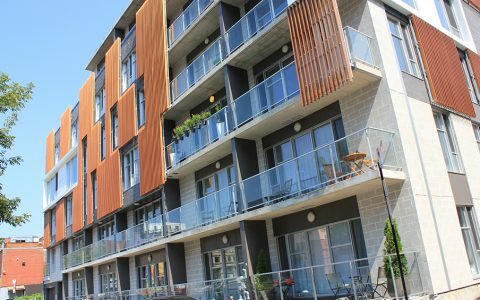 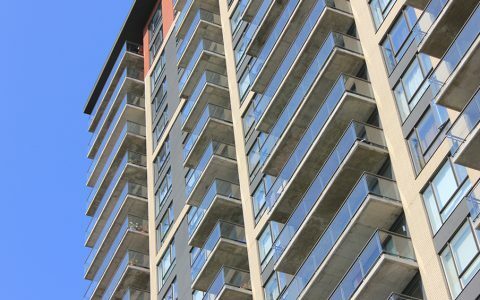 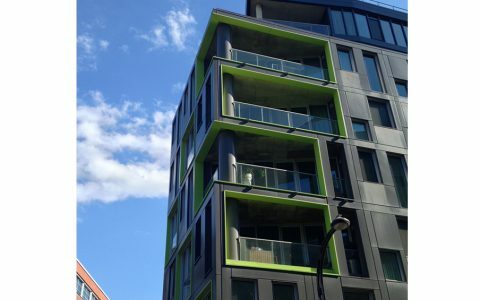 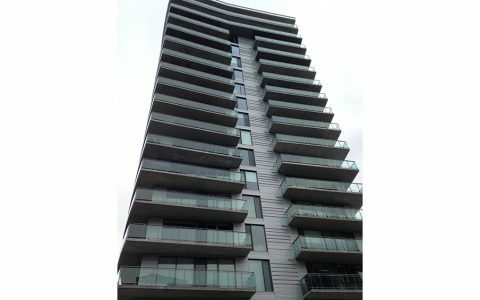 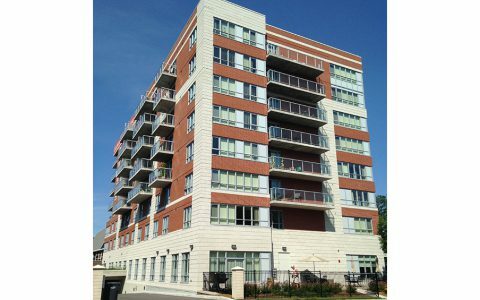 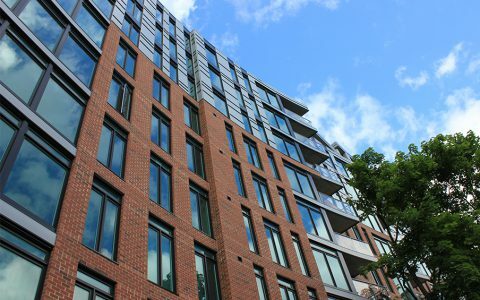 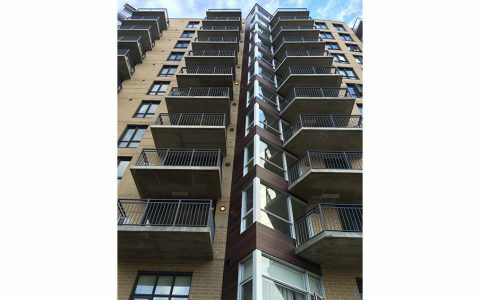 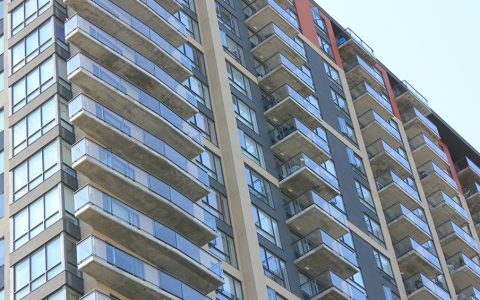 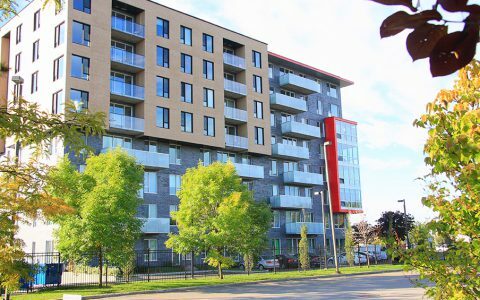 Our railing systems fit perfectly with SoHo Lisgar's sharp edges. 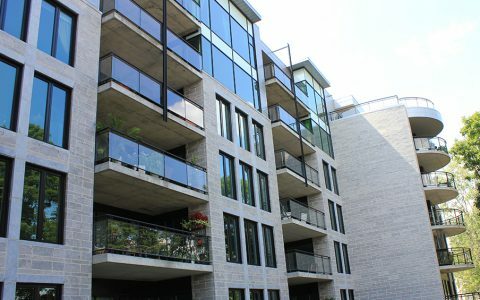 Pay attention to longer than usual glass panels which creates an unique look. 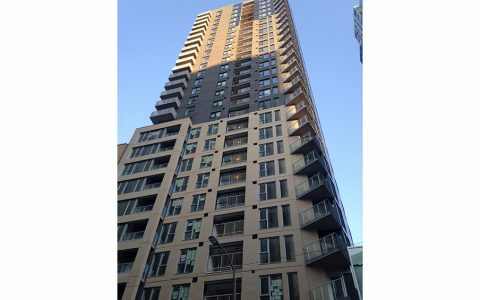 It is a great example of the customization of our products. 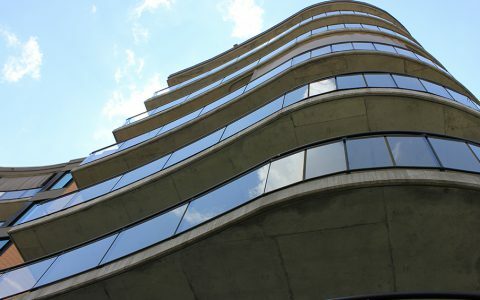 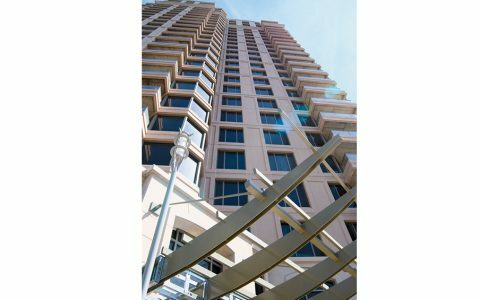 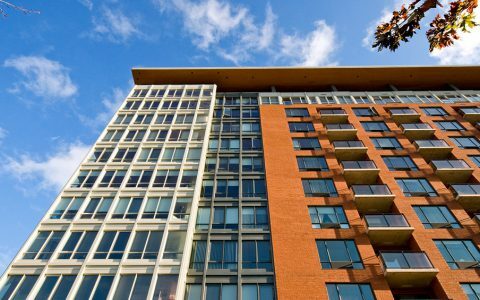 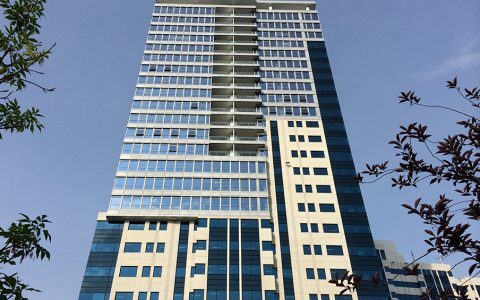 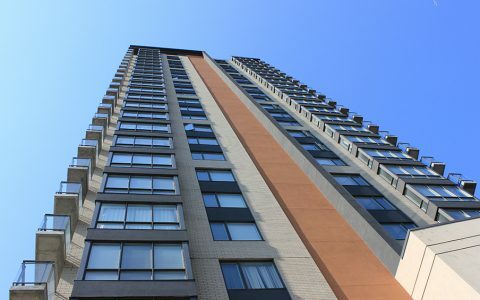 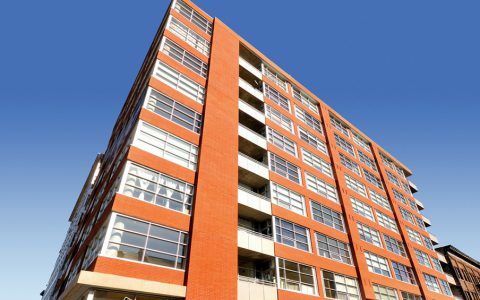 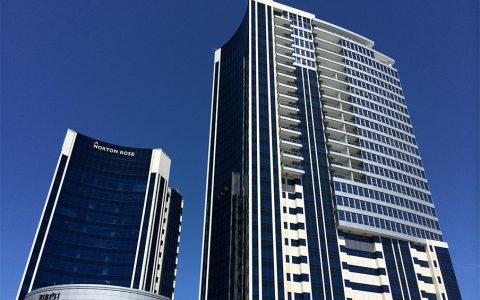 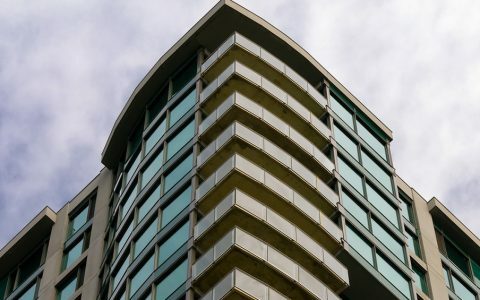 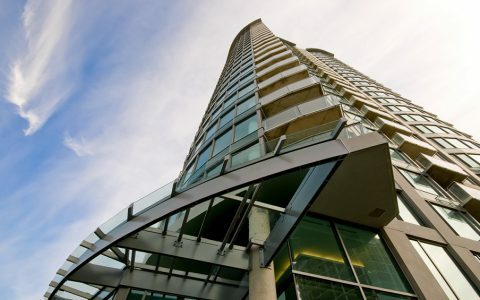 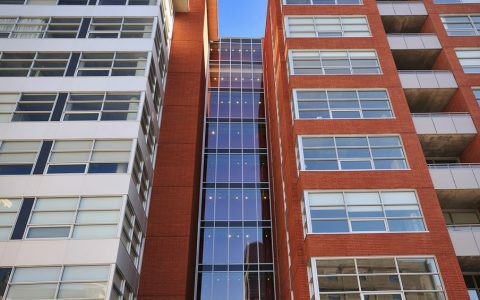 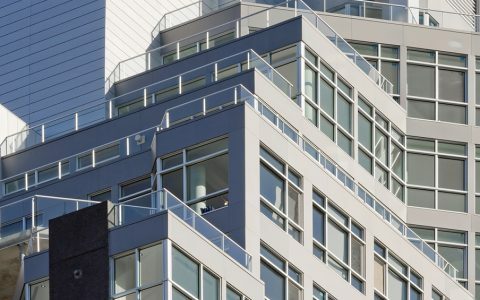 Our railing systems insure security to all of Claridge Plaza's residents, even at the very highest floors. 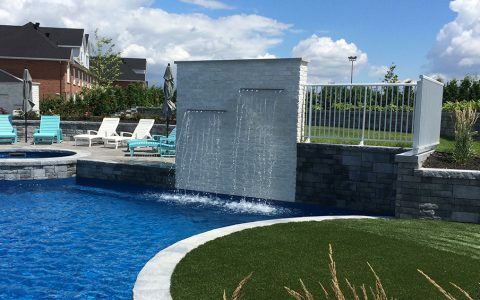 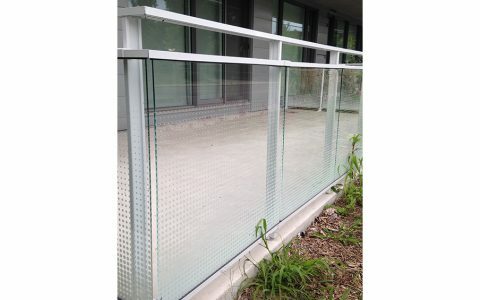 Tempered glass privacy screens provide residents of the Carlingwood Retirement Community with some privacy. 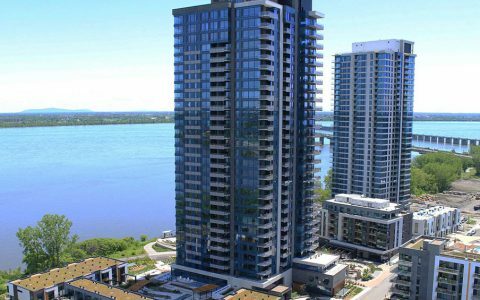 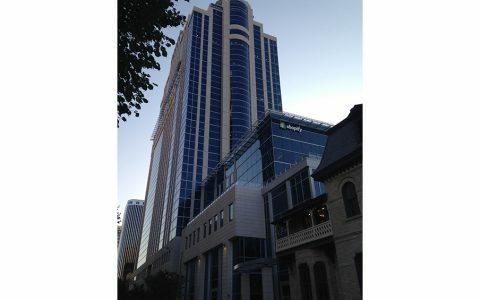 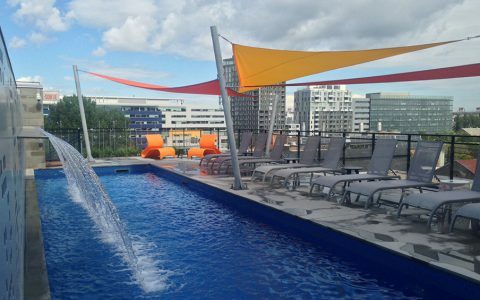 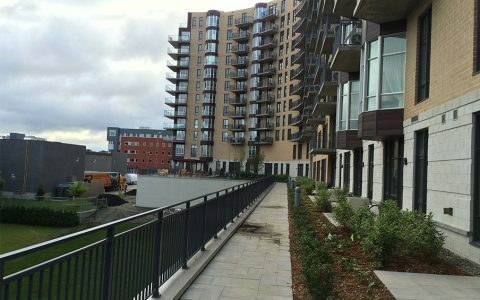 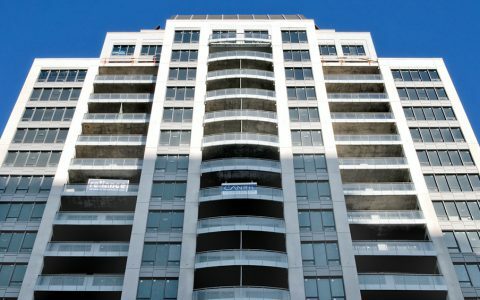 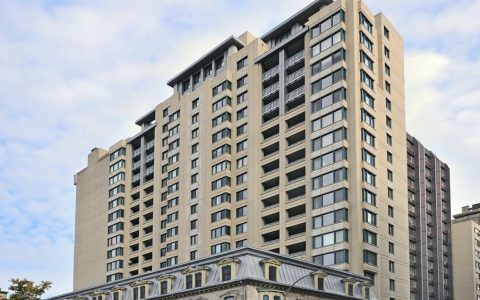 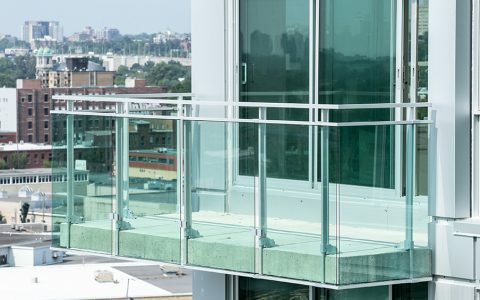 Our railings allow to enjoy the view from the balconies at 150 Elgin Street in Ottawa. 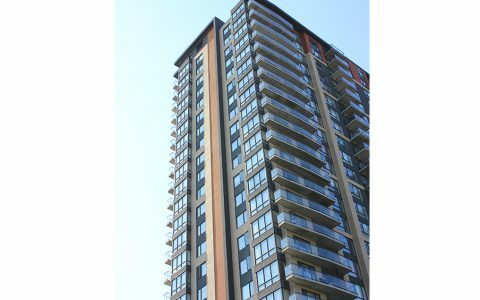 Serigraphy on glass panels passing in front of the slab is a great way to create a unique visual signature. 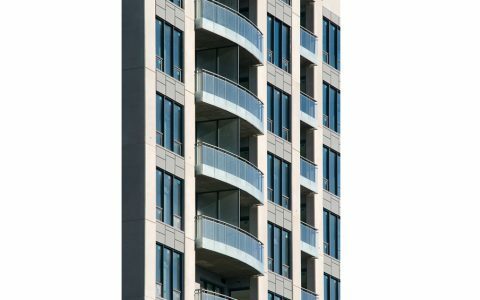 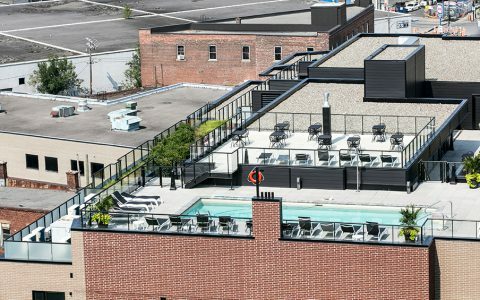 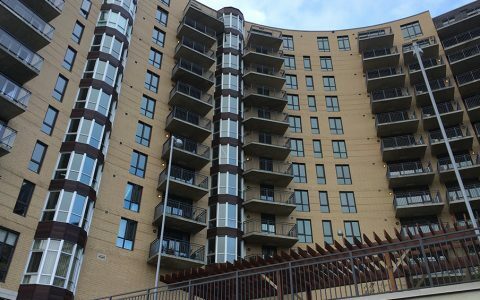 Combining straight and curved railing systems allows for truly unique facades. 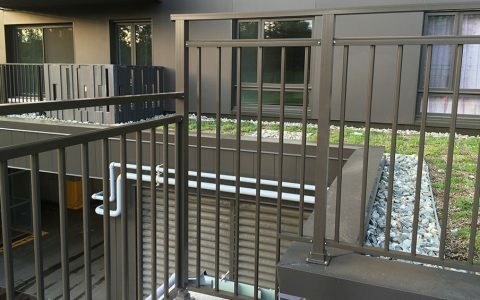 Painting the aluminium parts of our railing systems is one of many customization options. 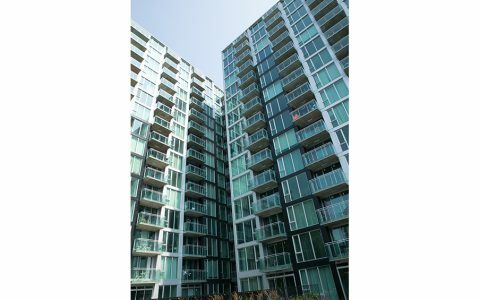 In this case, black has been chosen. 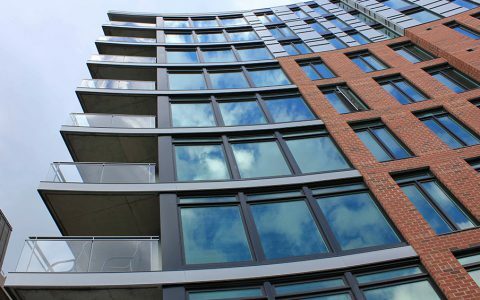 All of our products are thoroughly tested to insure their solidity and security. 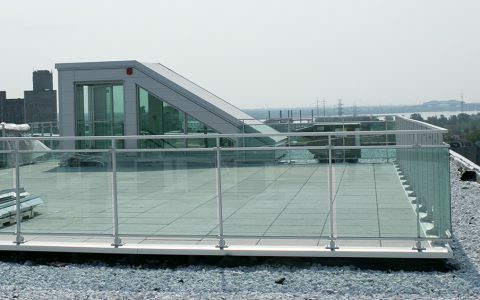 This allows Ramp-Art to provide railing systems to the most impressive constructions. 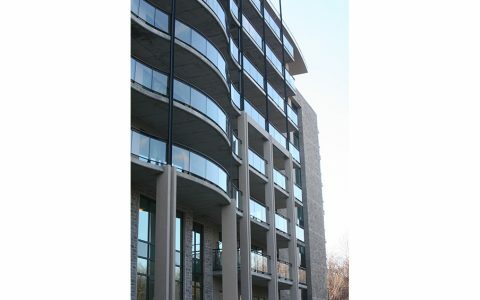 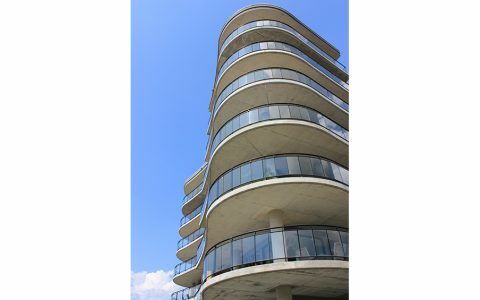 This special version of our railing systems allows for thight curves, which give this building an unique look. 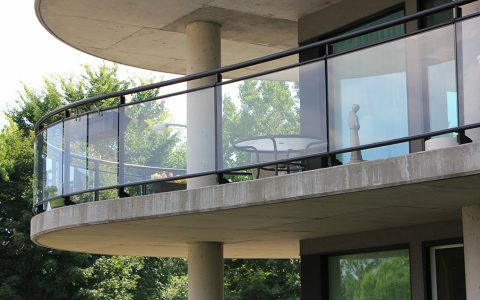 Subtle and elegant, our railing systems integrate perfectly with modern architecture. 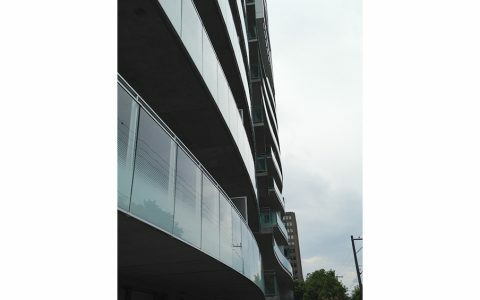 Curved railings maximize usable space of balconies in the corner of buildings like it is the case at the Jardins Gomin. 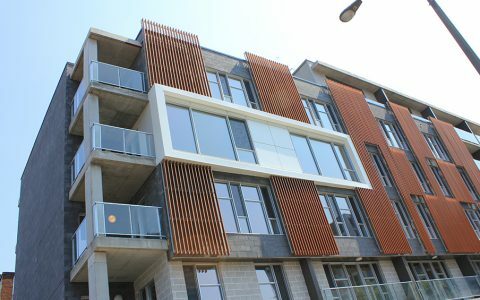 L'Étoile and Le Monastère de l'Étoile are unique projects combining modern and historical architectures. 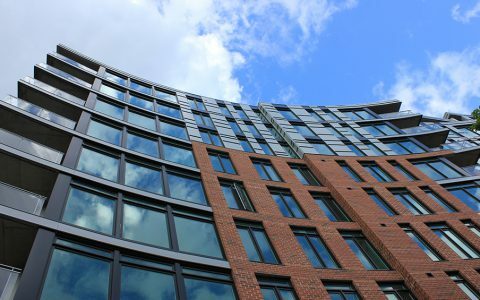 The flexibility of our products allows us to offer truly holistic solutions to our clients. 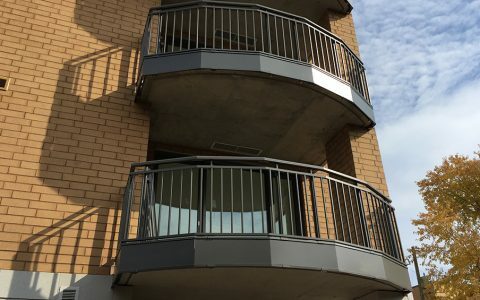 Even when our railings are not on the foreground, they are there to insure the safety of residents. 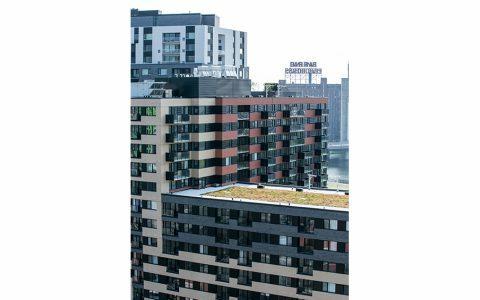 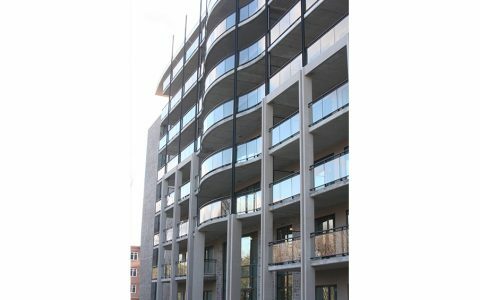 Our slab covers can be used horizontally and vertically. 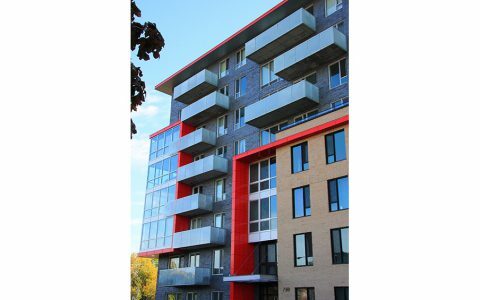 At the Zuni, this was a way to create colourful accents on the building's facade. 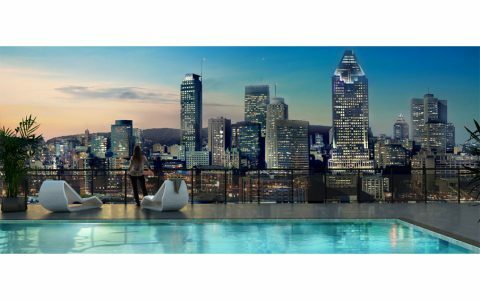 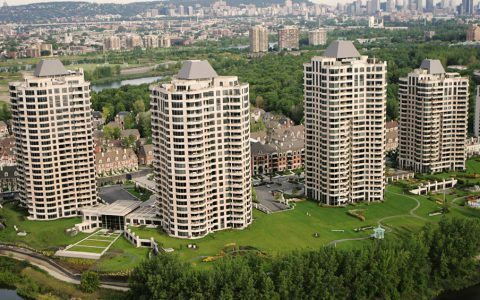 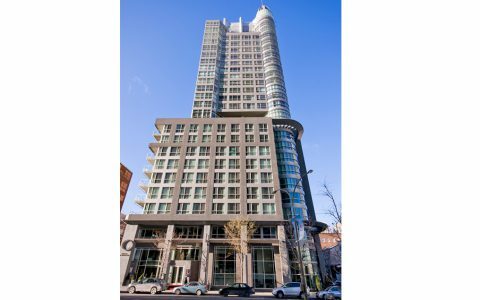 The luxurious Vistal Condo towers rise on the southern tip of l’Île-des-Sœurs. 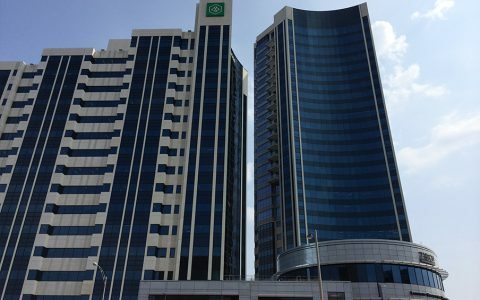 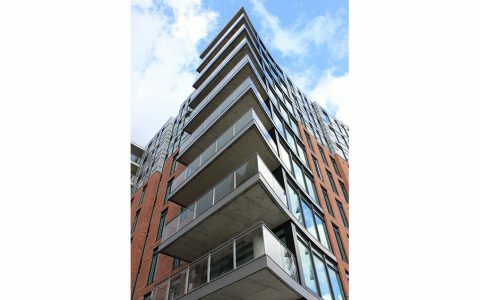 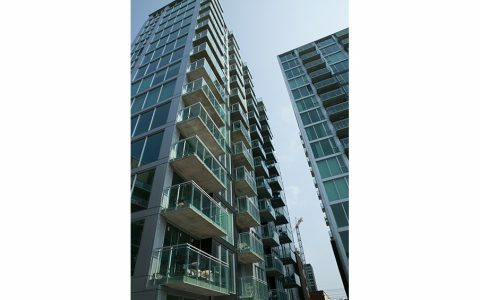 Ramps-Art's glass and aluminium railings allow residents to enjoy the view in total security. 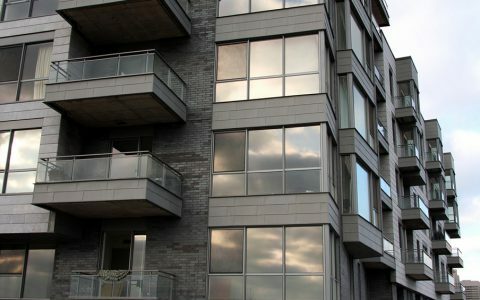 Longer than usual glass panels hide the concrete slabs to create an unique look. 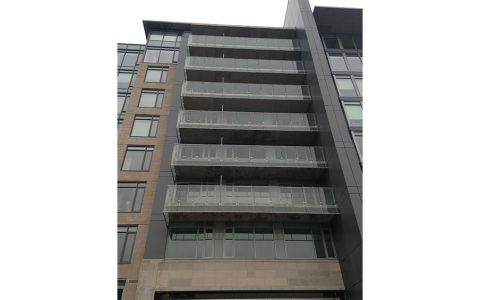 Glass serigraphy along with the combination of our different railing systems creates a truly unique look at Le Solano. 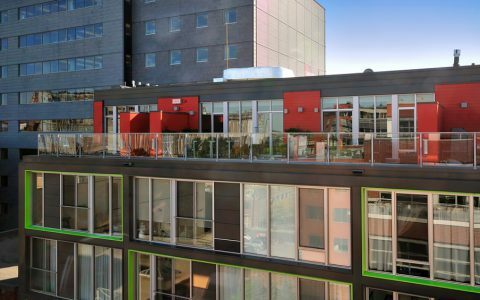 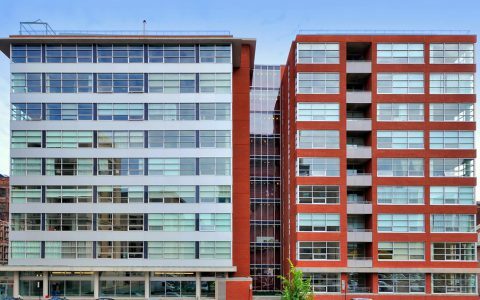 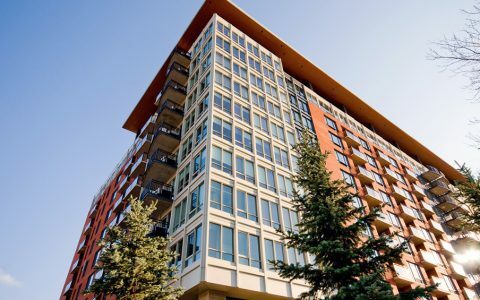 McGill West's large windows offer an impressive view on the city and Ramp-Art's railings allow to take a breath of fresh air in total safety. 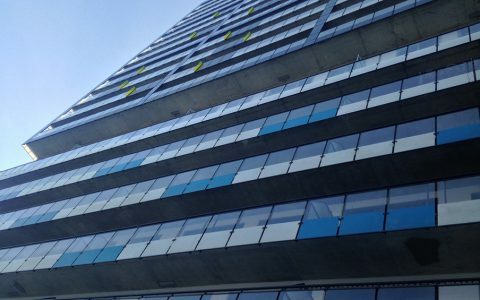 Blue and yellow glass serigraphy contribute to the creation of a unique visual signature for The Lowney. 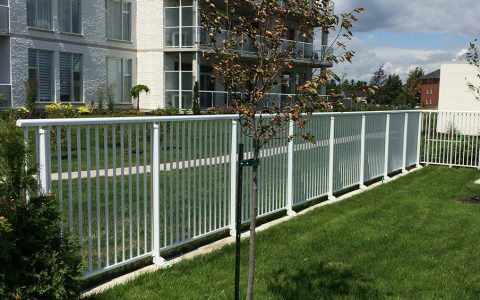 Our railings allow residents of the Sommets sur le fleuve to appreciate the view in total safety. 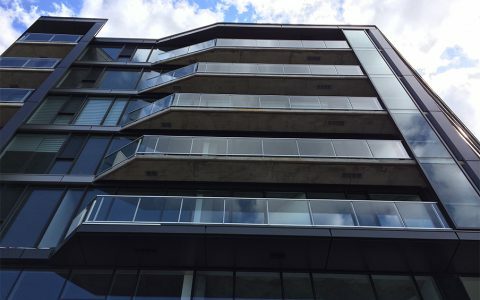 Lightly tinted glass panels pass in front of the concrete slabs at the Murray creating a stunning look. 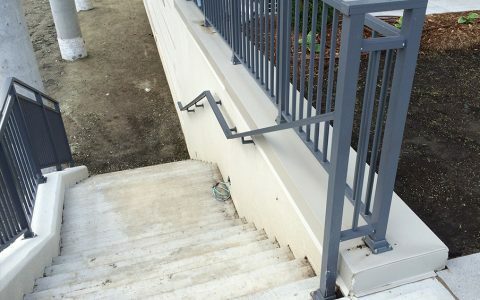 Our unique railing system fixed to a slab on studs has also been used here. 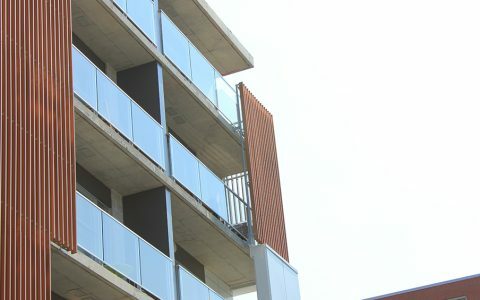 The use of black glass pannels is an original way to provide privacy to the residents. 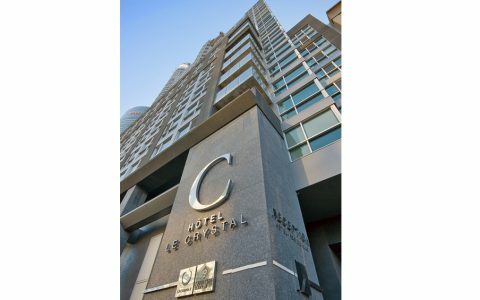 Le Crystal Hotel is an icon of Montreal's downtown landscape. 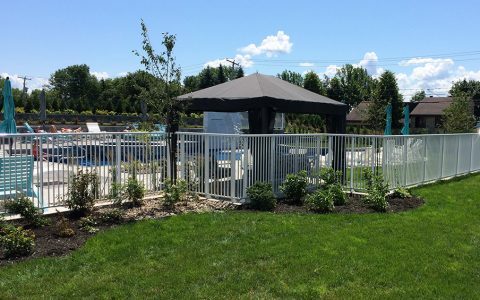 Our railing systems allow guests to safely enjoy the view. 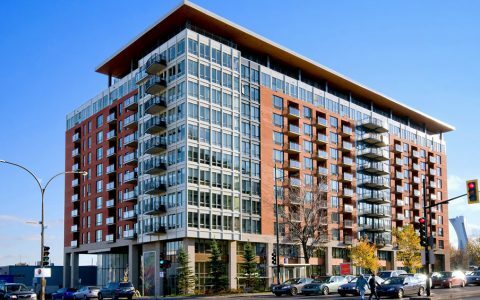 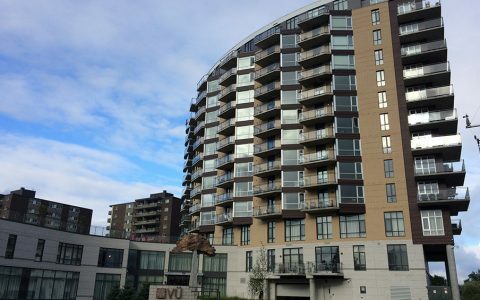 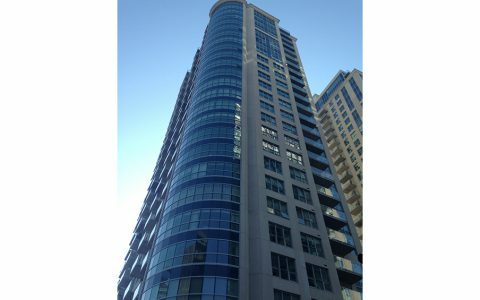 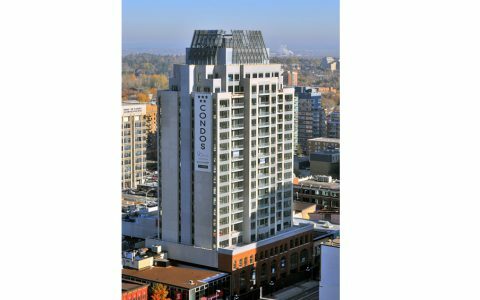 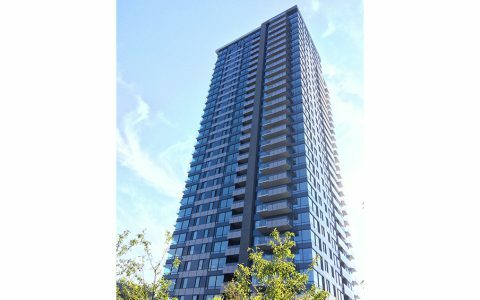 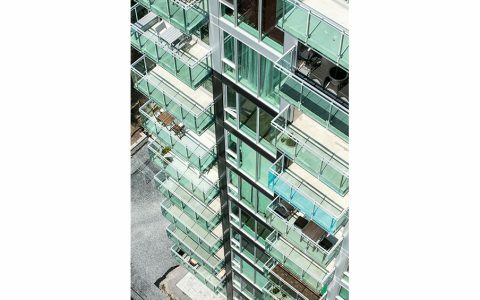 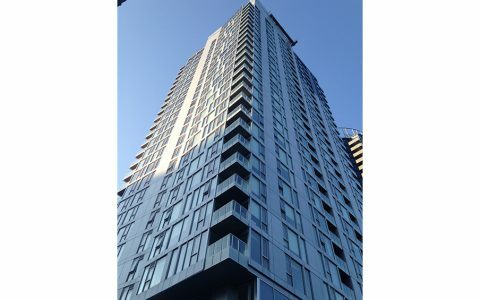 Glass pannels of different lenghts have been used at Evolo Condos to create a unique look. 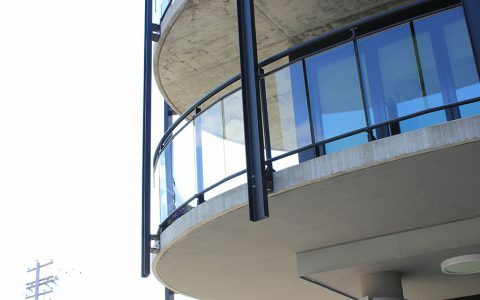 Classic aluminium ramps combined with modern glass and aluminium railings allows a great combination of classic and modern architectures. 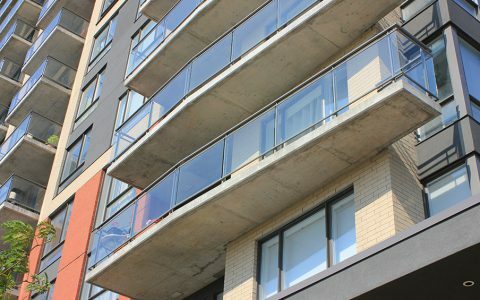 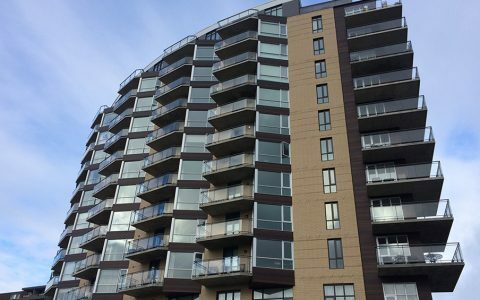 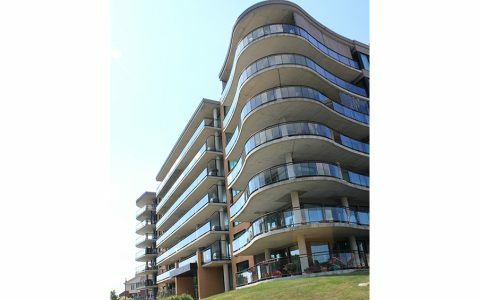 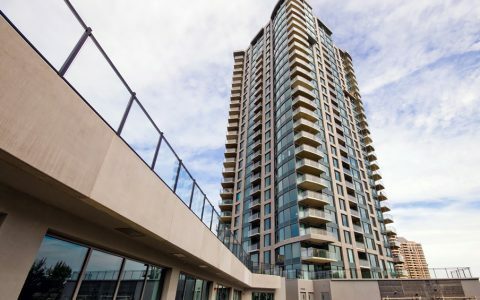 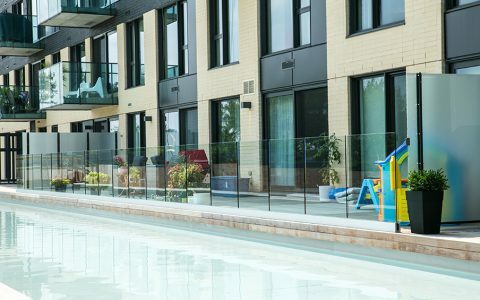 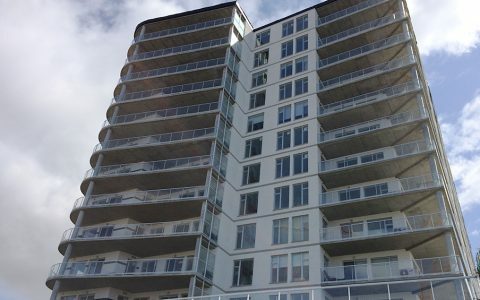 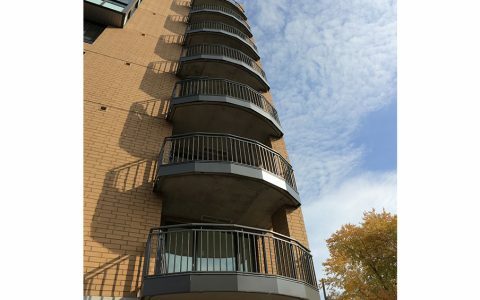 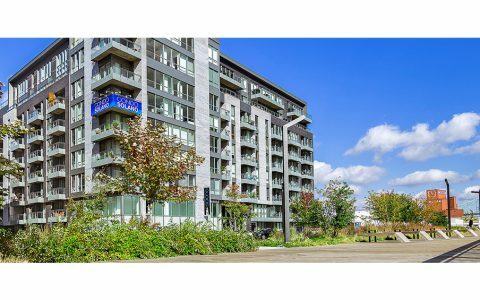 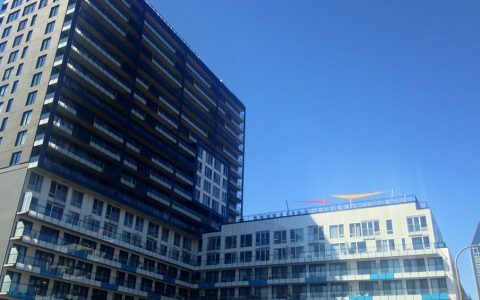 Our popular glass and aluminium railing systems abutting under the handrail are well shown at Dell'Arte condos. 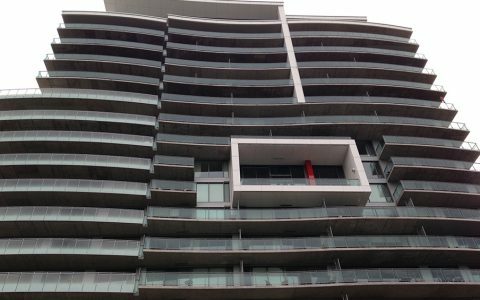 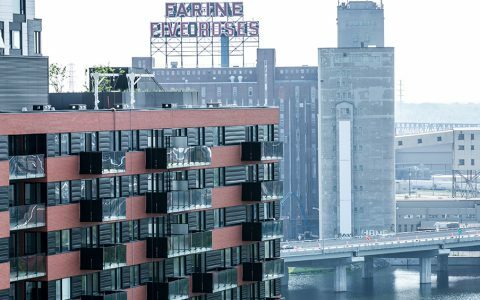 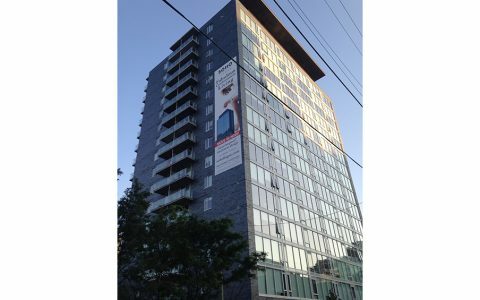 Glass serigraphy offers privacy for residents of the first levels of Rouge condos. 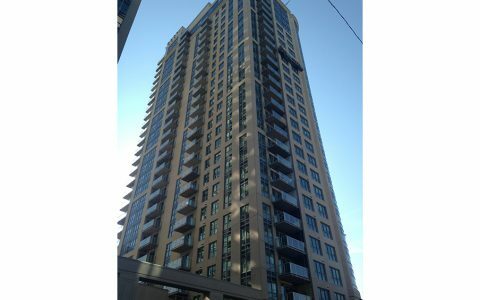 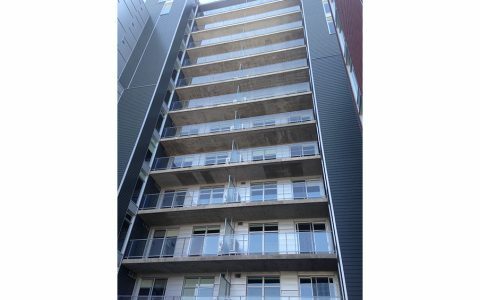 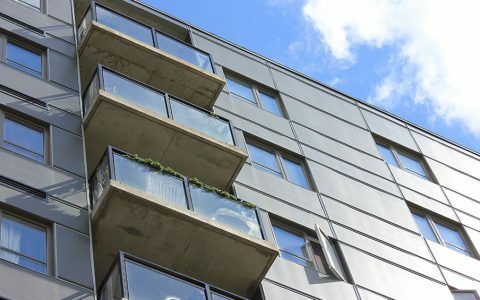 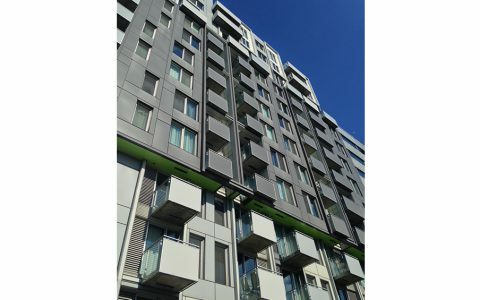 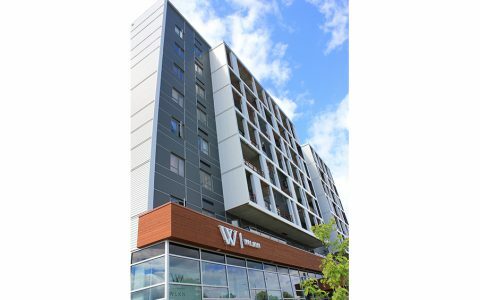 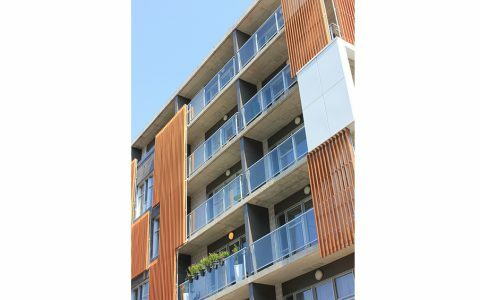 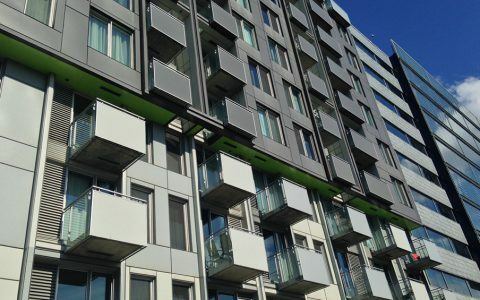 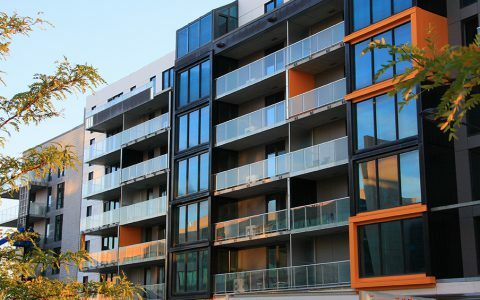 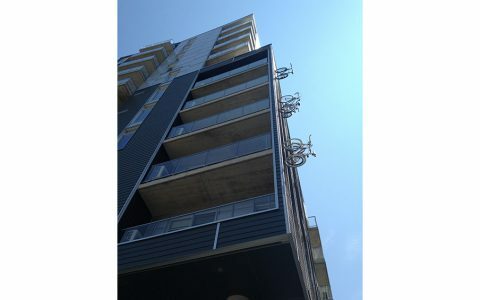 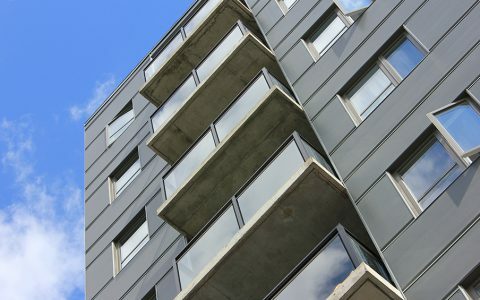 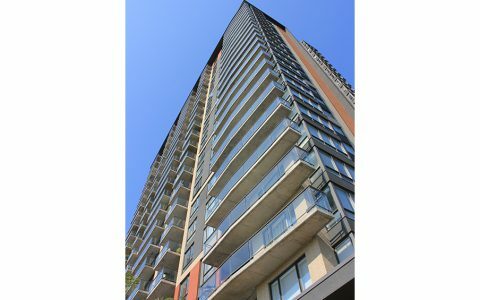 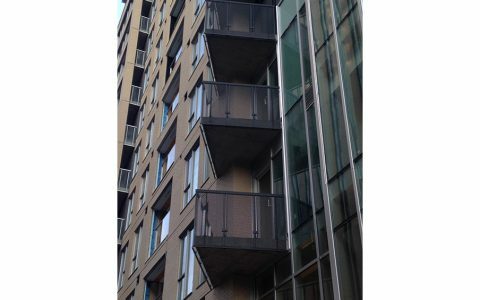 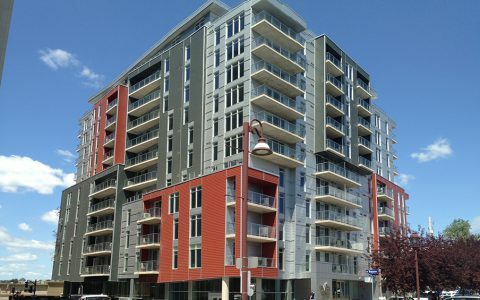 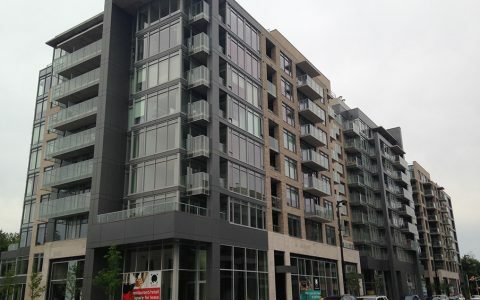 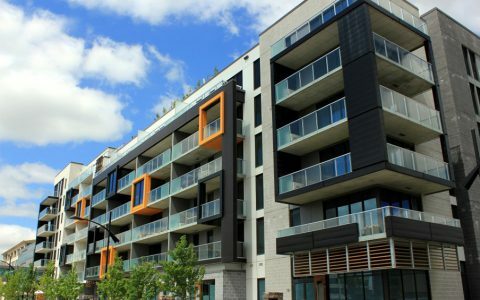 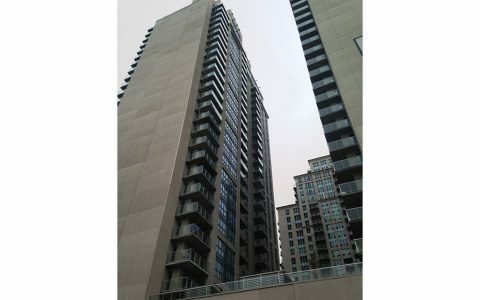 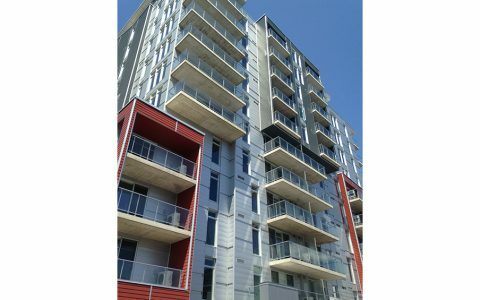 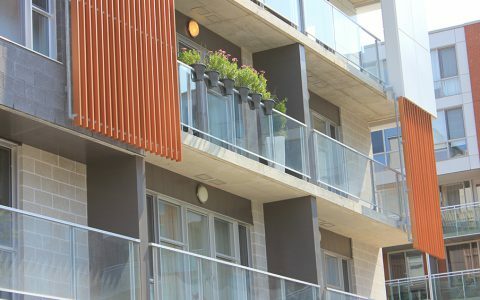 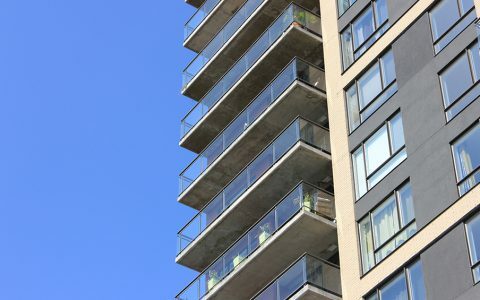 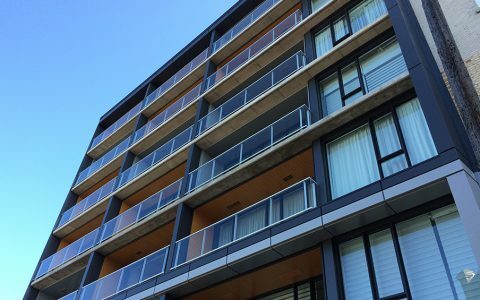 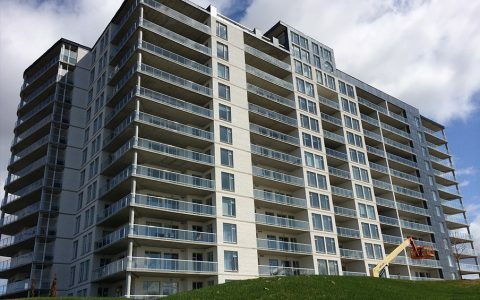 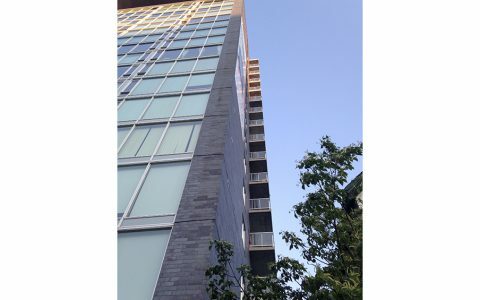 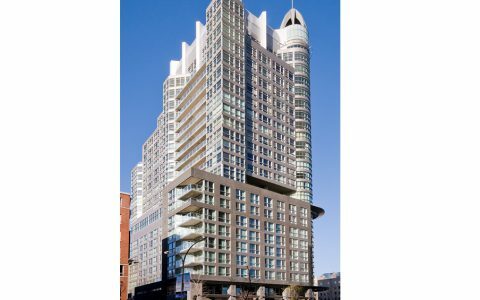 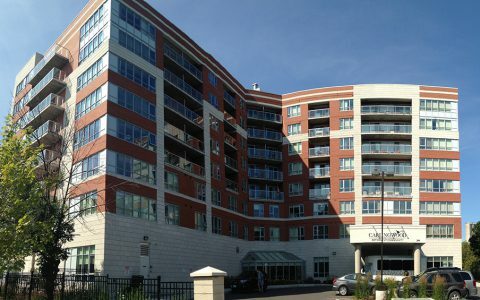 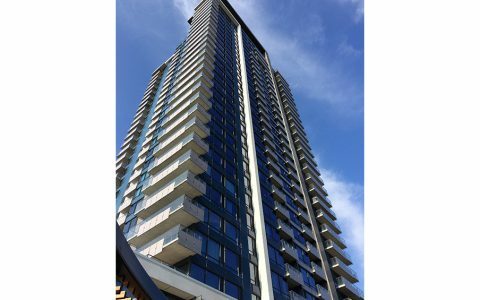 Railing systems for french balconies are used at M9 condos to insure the safety of all residents. 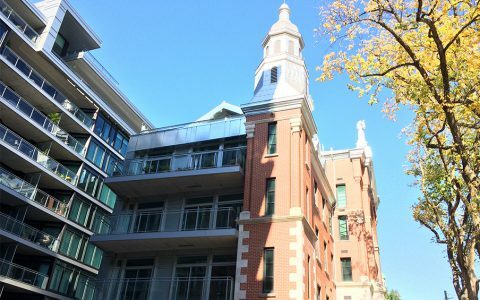 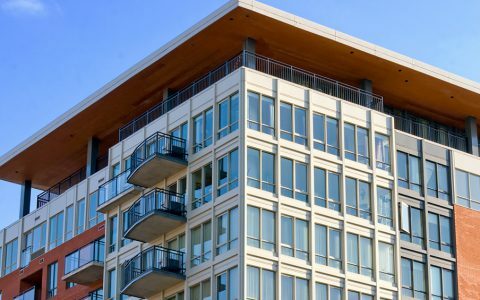 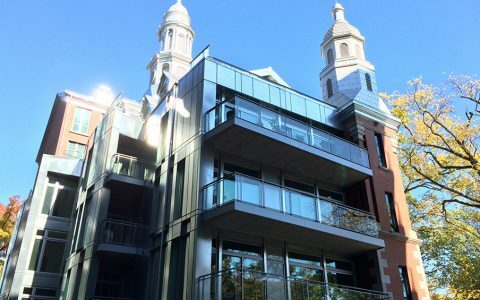 Our railings integrate with subtlety through the architecture of the Beaux-Arts condos in order not to influence the classic style of the building. 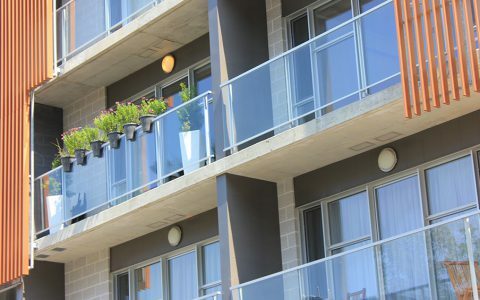 The balconies and railings at Blu Rivage have many different angles to further enhance the look of this splendid building. 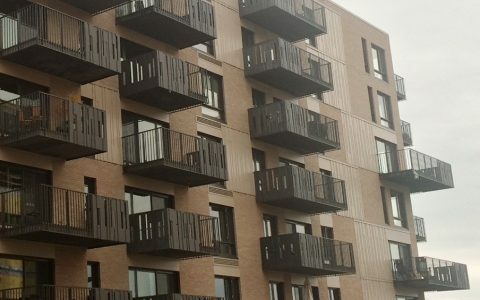 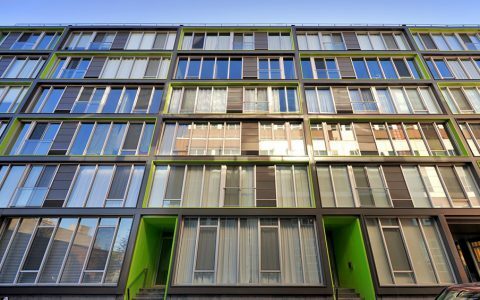 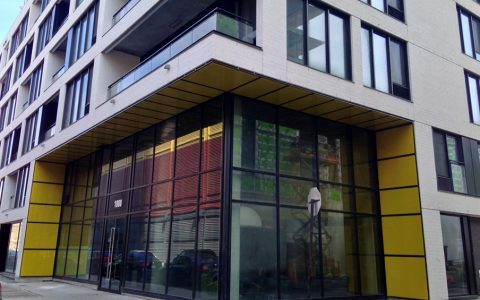 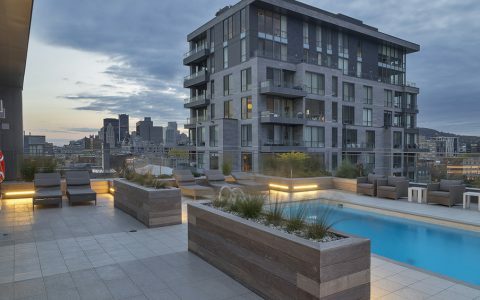 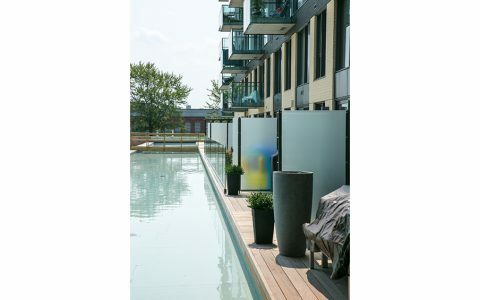 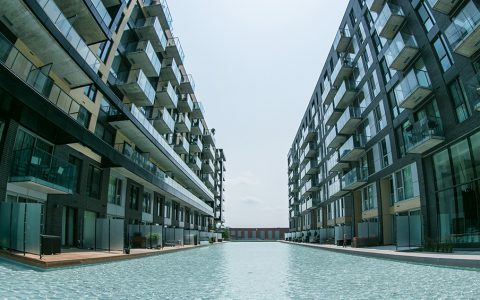 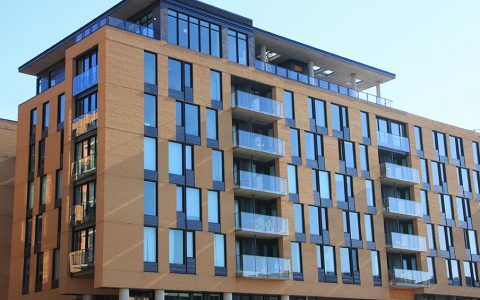 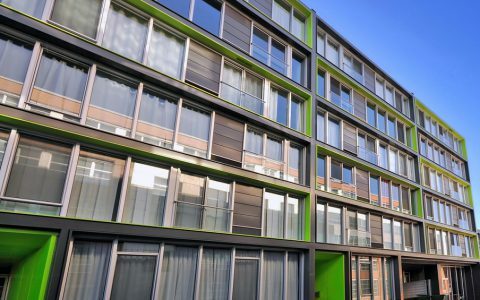 Our glass and aluminium railings create a private, yet open, environment at Les Bassins du Havre.